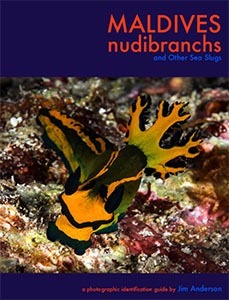 A photographic identification guide to the nudibranchs and other sea slugs of the Maldives. 117 species are described and illustrated with up to 8 images for each species. This is the first dedicated guide to these beautiful animals in this area of the Indian Ocean. All 117 species are illustrated in the Kindle version by a single image. Both versions now have the latest taxonomic updates. 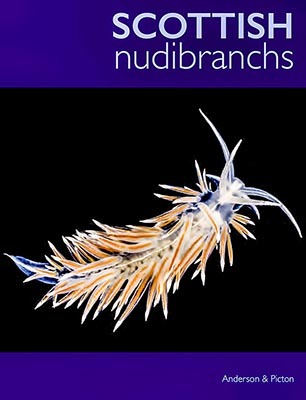 A photographic guide to the nudibranchs and other sea slugs recorded around the coast of Scotland. 107 species are described and illustrated, with up to 8 images for each species, including their spawn and food, and general information on the main groups. There are also distribution maps for 102 species and reproductions of the illustrations from Alder & Hancock's 1845-55 monograph for 74 species. All 107 species are illustrated in the Kindle version. Both versions now have the latest taxonomic updates. 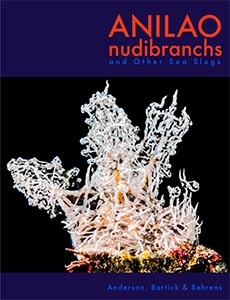 A guide to the nudibranchs and other sea slugs seen during the Nudibranch Festivals, 2016/17/18 in Anilao in the Batangas region of Luzon Island in the Philippines. Over 560 species are described and illustrated many with multiple images and with general information of the families and groups. This is the first guide to these beautiful molluscs in this area. All 560 species are illustarted in the Kindle version.